Expert data security consulting and guidance on achieving compliance regardless of the industry standards your company needs to meet. Including: PCI DSS, HIPAA, NERC, NIST, GDPR & more. Offering a systematic approach to implementing and managing the IT and security of your company's data, assets, network and devices through our cybersecurity protection offering. Gain immediate access to the cybersecurity risk management expertise you need. An architecture implementation team that can help your organization implement a cost effective program that will grow with your business. Our network security assessment is versatile and able to adapt with your company's needs. An all inclusive program that evaluates your entire system with our network security audit, delivering actionable and measurable improvements against standing risk management policies. RSI Security is the nation's premier compliance and cybersecurity provider dedicated to helping organizations achieve cybersecuity risk-management success. We are here to help you mitigate risk and protect your data. We work with some of the world's leading companies, institution and governments to ensure the safety of their information and their compliance with applicable regulation. By choosing RSI Security, you can rest assured that you’re selecting one of the best cybersecurity consulting firms for your data security needs. Our clients have confidence knowing they are supported by one of the top cybersecurity service providers. For more information on our risk assessment and protection services, give our consultants a call today. "We were looking for an IT partner who was both an ASV and QSA vendor with a long-term view of our organization's growing security needs. We were very pleased with the overall experience. I can sleep a little easier at night." "It was clear from RSI's presentation for QSA service that they understood Fattmerchant's approach to PCI compliance. Additionally, RSI provided a very competitive proposal while demonstrating a commitment to excellence with clear documentation and setting of expectations. The experience with RSI was efficient and thorough, allowing Fattmerchant to meet aggressive timelines. RSI Security is a great QSA for advanced Service Providers that leverage technology such as tokenization. 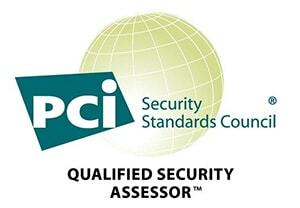 First time PCI Level 1 service providers would also benefit from their knowledge and personalized approach." Want to learn more about increasing your cybersecurity and ensuring you are compliant?